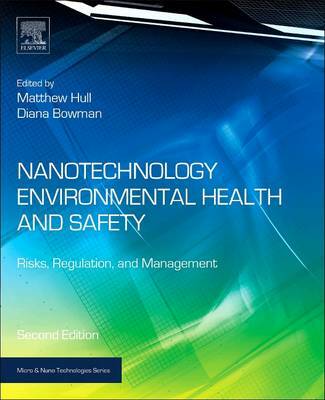 Nanotechnology Environmental Health and Safety, Second Edition focuses not only on the impact of nanotechnology and the discipline of nanotoxicity, but also explains each of these disciplines through in the context of management requirements and via risk scenarios - providing an overview of regulation, risk management, and exposure. Contributors thoroughly explain environmental health and safety (EHS) issues, financial implications, foreseeable risks (e.g., exposure, dose, hazards of nanomaterials), occupational hygiene, and consumer protection. Key new chapters have been included covering eco-toxicity, nanomedicine, informatics, and future threats. New case studies have also been added, including a chapter on the impact of nanosilver on the environment, as well as an assessment of how well lessons have been learned from the past, such as in the case of asbestos. The book also makes a business case for the importance of proactive EHS management - essential reading for existing or prospective producers of nanoscale products.